A humanitarian ship carrying 64 migrants remains at sea after it was refused by Malta and Italy. The ship, which is currently near Italian waters, continues to look for a destination after the refusal. 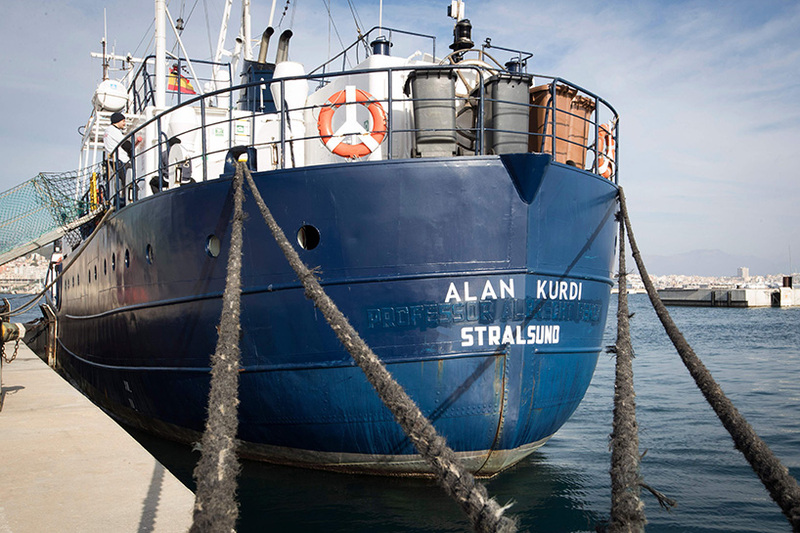 The Sea-Eye humanitarian ship rescued the 64 migrants after it couldn’t contact authorities. The ship was looking for other boats reported missing when it ran into the 64 migrants. The rescue took place off the Libyan coast. The people from the other boats are still missing. One of them was said to be carrying 50 people. The Sea-Watch International Twitter account recently responded to a tweet from Sea-Eye. The response mentions that Sea-Eye saved 64 people from drowning and that 50 more are still missing since Monday. A spokeswoman for Sea-Eye confirmed that the boat had been refused by Malta. She also said that it was unlikely that Italy would give it permission. Yesterday, it was reported that the boat was near Lampedusa. Migrants on the boat are said to be in cramped conditions, with many of them staying on the deck. It is currently unclear where the boat will go after the refusal from Malta and Italy. The refusal is yet another dispute between European Union members. Some of the members have distanced themselves from the migrant crisis while others have decided to take in a percentage of the migrants arriving to Europe. The Mediterranean is one of the most popular routes for boats attempting to take migrants to Europe. Some of the attempts end in tragedy as the boats are usually over capacity or not in the conditions to make a long journey. Italy’s Interior Minister Matteo Salvini made comments on the humanitarian ship carrying the 64 people. He suggested that the ship, which is German, should head for Hamburg. The spokeswoman for Sea-Eye responded to his comments, saying that Hamburg was out of the question since it would be a journey that would last weeks. She added that they also have no food or water. The ship currently at sea is the Alan Kurdi, which is named after the boy who drowned in the Mediterranean while fleeing from Syria. The picture of his lifeless body sitting on a shore made news around the world in 2015. The spokeswoman for the humanitarian organization also said that the ship is the only one operating in the area since governments have not given permission to more.